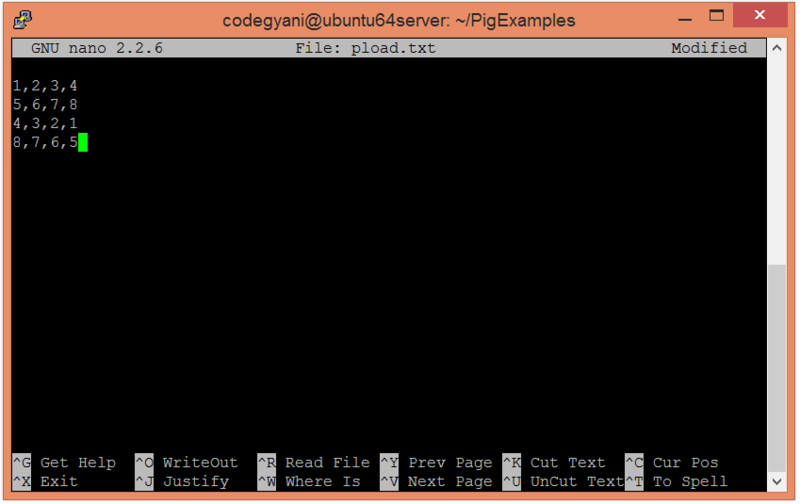 The Apache Pig LOAD operator is used to load the data from the file system. LOAD is a relational operator. 'info' is a file that is required to load. It contains any type of data. FUNCTION is a load function. SCHEMA is a schema of passing file, enclosed in parentheses. 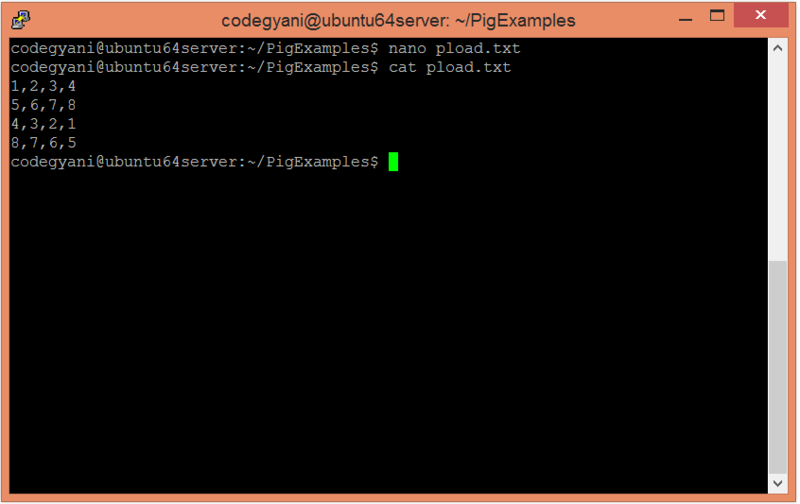 In this example, we load the text file data from the file system. Let's check the corresponding schema.